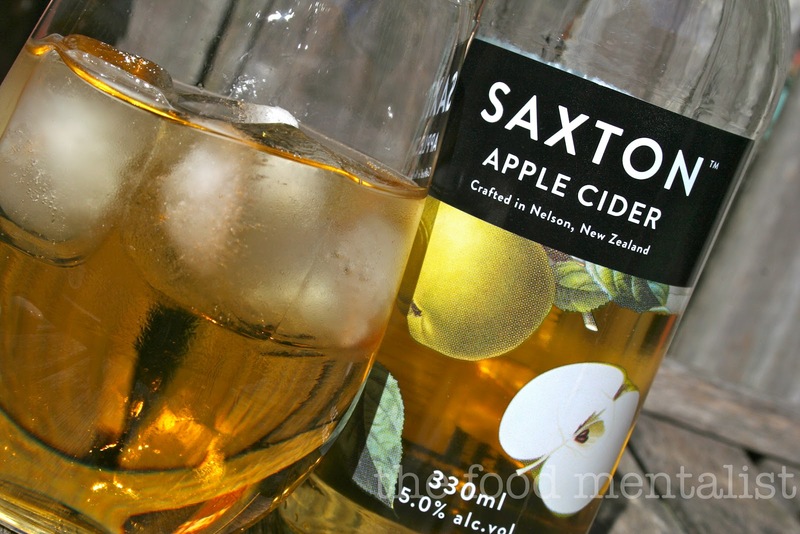 Some of you may remember my review of Old Mout Cider from Nelson in New Zealand last November. Well this week's cider is also crafted in Nelson by McCashin's Brewery. Nelson, located on the Northern end of the South Island, is famous for its art scene which is interesting since the design of this cider's label is what led me to purchase it. I love it's simple and clean design which makes the delicious golden hue of the apple cider visible. McCashin's Brewery produce a unique range of beverages and have been doing so for the past 30 years. What makes their products stand out above many others is that they use Palaeo water in all their beverages. Reported as the purest water in the world, it is said to be sourced from one of the oldest and purest water aquifers known to man - untouched for up to 260 centuries. 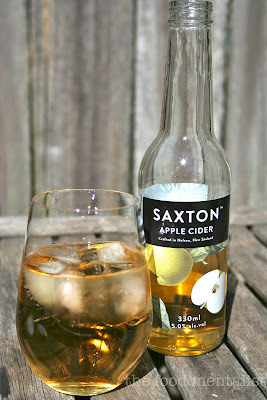 In addition, Saxton apple cider has absolutely no additives or preservatives - something I absolutely love! This cider has a very light carbonation, so slight you hardly even notice it. It's distinctive flavour reminds me of many traditional style ciders. It has a fairly strong alcoholic apple flavour, a well balanced sweetness and is refreshingly crisp. This cider is perfect paired with stronger meat flavours and/or something spicy. i'm a big fan of cider.. i must try this! Sounds refreshing Erin! And I'm quite interested in the Palaeo water too. I have tried this one! I really like this one. Hey Erin ... thanks heaps for the review! It's apple picking season at the moment here in Nelson so we're about to get some fresh yummy apples to make some more cider with. This would be the best cider I've ever had without doubt. 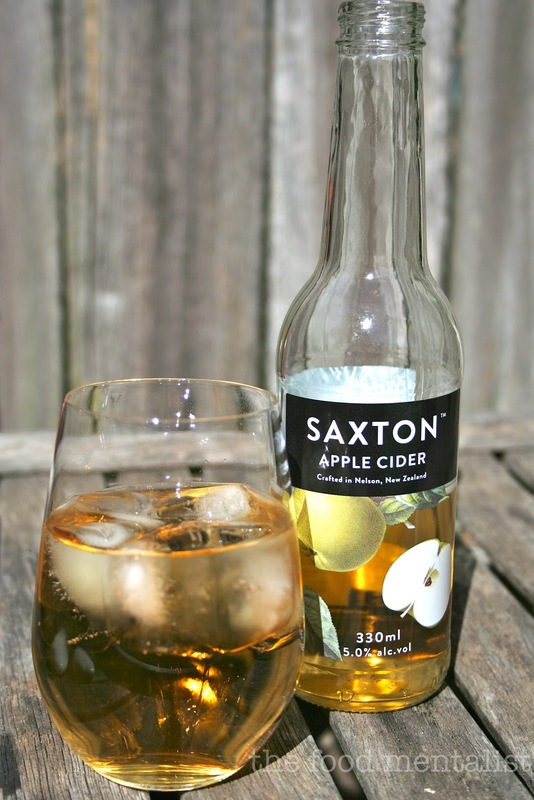 So many ciders have that watered down taste, where as Saxtons has that fuller apple taste. It feels like it's actually got some guts to the drink!! Well done mccashins keep up the good work.